Untitled (sand mailed by the artist’s mother from California) is a work that consists of a posted envelope of sand from the Californian beach by the artist’s former home, where his mother still resides. 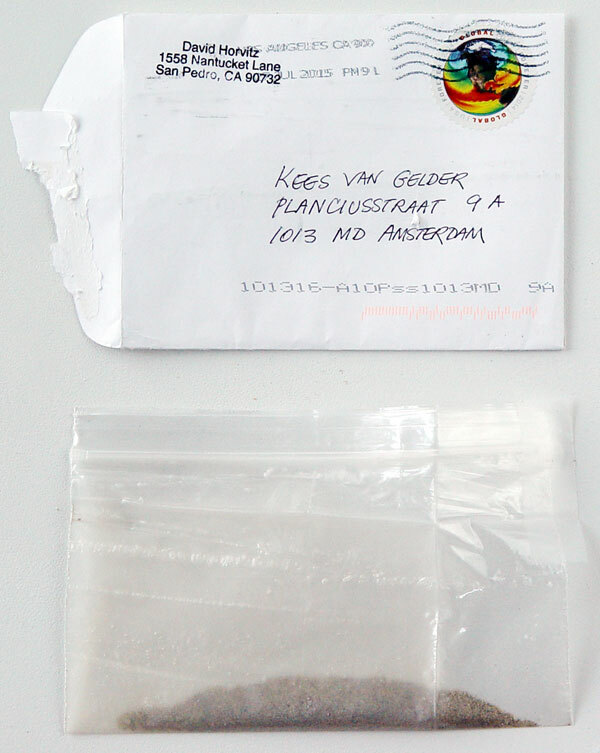 Originally the artist’s mother sends this sand by post to the buyer. This same beach and sand is a repetitive motif for Horvitz and has been used for several projects including: Rarely seen Bas Jan Ader, Disappear, Public Access, The Distance of a Day and his Studio Rent Editions.